Wondering how you can keep the children entertained this February half-term? If you live in the Home Counties or the London area you are spoiled for choice. There are literally tons of child-friendly activities to amuse your little ones. From museums, interactive exhibitions, zoos, parks, theatre shows, and much more. And they suit all ages and budgets. 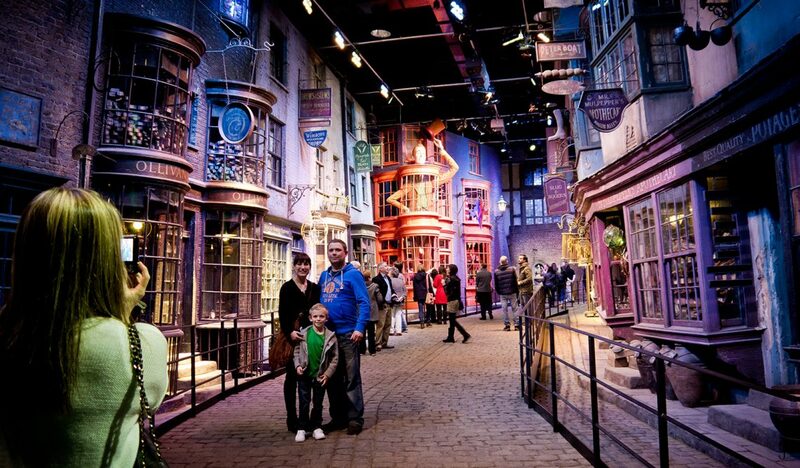 Any child that is a fan of Harry Potter will love this studio tour. They can go behind the scenes and look at the actual props used in the film, view costumes and the sets. This studio is where all eight Potter films where filmed so there is a wealth of insight to be gained. An amazing experience for any Potter fan. Tickets limited so you’ll have to hurry! Future space cadets and star gazers will love this space show, themed around our moon. It includes a show at the planetarium, immersive activities and an interactive quiz. There are two workshops and a chance to speak to actual astronomers. Go into the planetarium and view the Solar System and beyond. Take part in the quiz using voting keypads and watch stunning images of the moon. For anyone interested in dinosaurs then this is an amazing experience to take them to. Transport your child back 67 million years ago and watch living dinosaurs roam the land. View the stunning Cretaceous plains, brought to life and be astounded by panoramic views. Watch an autopsy on a dinosaur and wait whilst babies hatch. For little ones who love watching PAW Patrol, this event is a no-brainer. Top dog Chase and pup Marshall from the popular Nick’s show are on at regular times throughout the day. There’s also a chance to experience the thrill of London’s longest and tallest ride. And of course, there are spectacular views from the top of the slide. This is an amazing show that explores how colour is used in the world by animals and humans. It explains how prey use colour to ward off predators or to attract a mate. It also shows us how we perceive colour and how it affects us and our mood. This exhibition uses a range of tools to get the message across. From interactive games such as an art machine that allows you to create a picture, to a colour café and a colour mood room.